In with the new year, and in with new content! This week, we’ve launched StoryBoard Locations by PowerProduction Software! 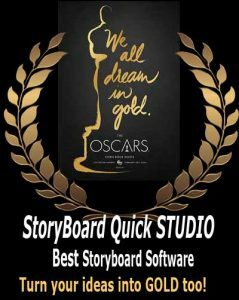 This is just one more step towards our goal to always provide new, exciting content for your storyboards and storyboard software. StoryBoard Locations now provides unpopulated photographs of Exteriors and Interiors (most with no people) for use as backgrounds, establishing shots, wide shots, location shots in StoryBoard Quick and StoryBoard Artist for even easier storyboarding! From interiors to exteriors, airports to oceans, London to the South Pacific, you can find great background images here! Use as background and add elements to other layers. Creating great storyboards is as easy as 1-2-3: drag these location photos into your StoryBoard Quick or StoryBoard Artist storyboard software, add vector characters and props from the application, and share your storyboards with cast and crew. Previsualization can’t get any easier with such a wealth of content at your fingertips! Check out StoryBoard Locations by PowerProduction Software here! You can purchase StoryBoard Locations à la carte, or in bundles! Read more on how to save by buying in bulk!